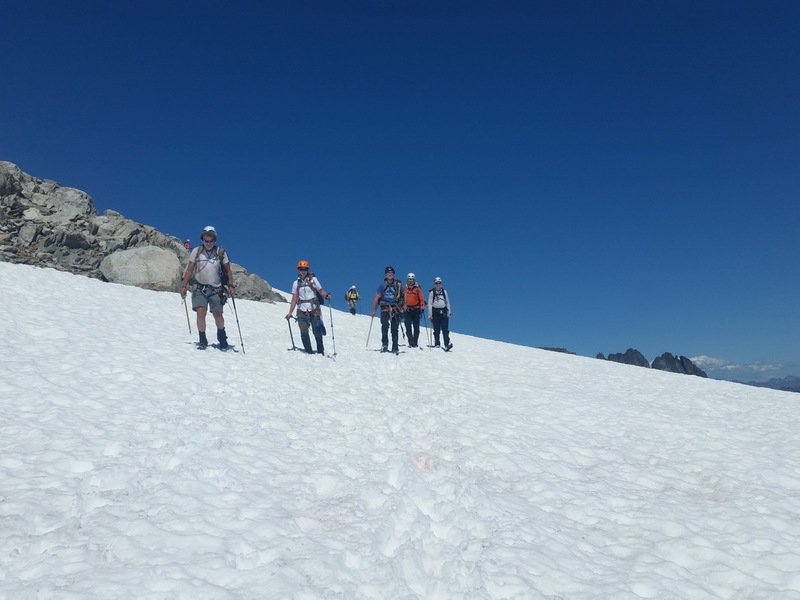 Here are a few more pictures from our Eldorado Peak climb. These were taken by fellow climber Phil. On the ridge towards the Inspiration Glacier, shortly after breaking camp. On the Inspiration Glacier. I’m in the middle of the first rope team. 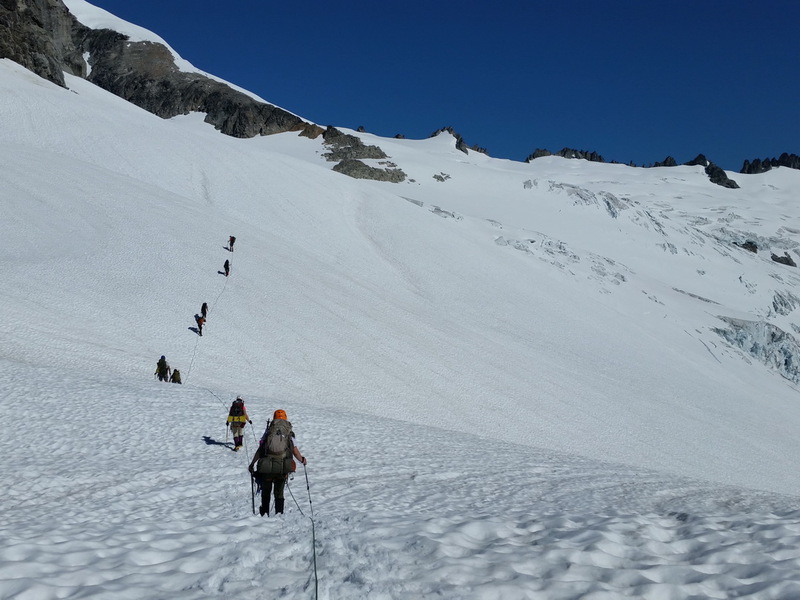 Heading up the Inspiration Glacier, with some of the few crevasses visible. 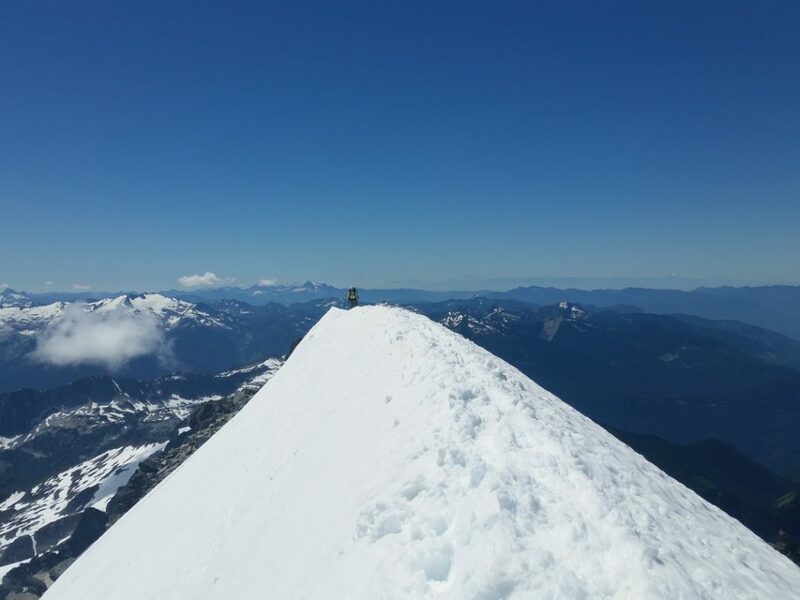 On the Knife Edge at the summit of Eldorado Peak. 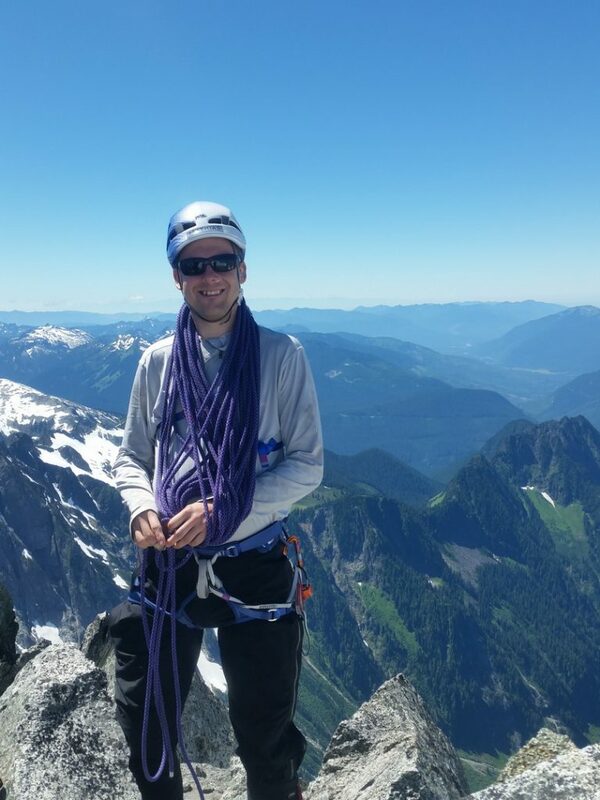 Coiling our glacier rope on the summit of Eldorado Peak. 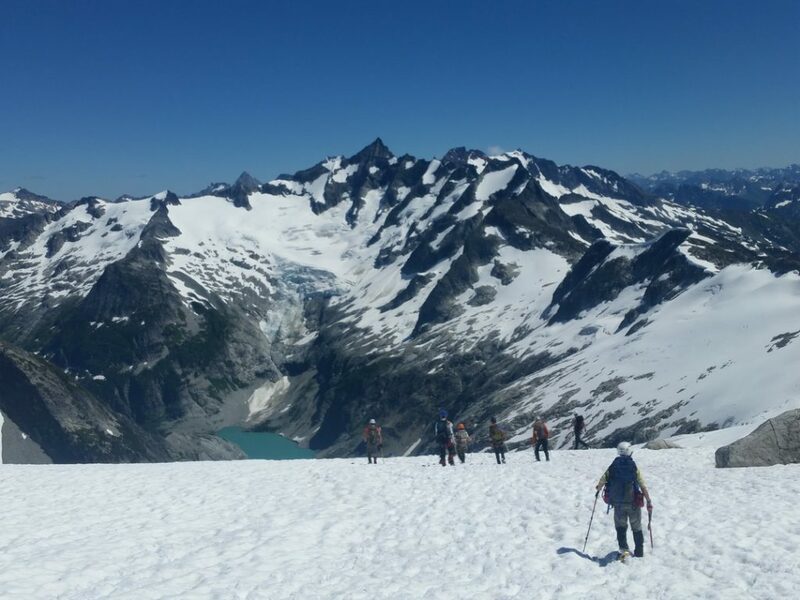 Descending toward the Inspiration Glacier. 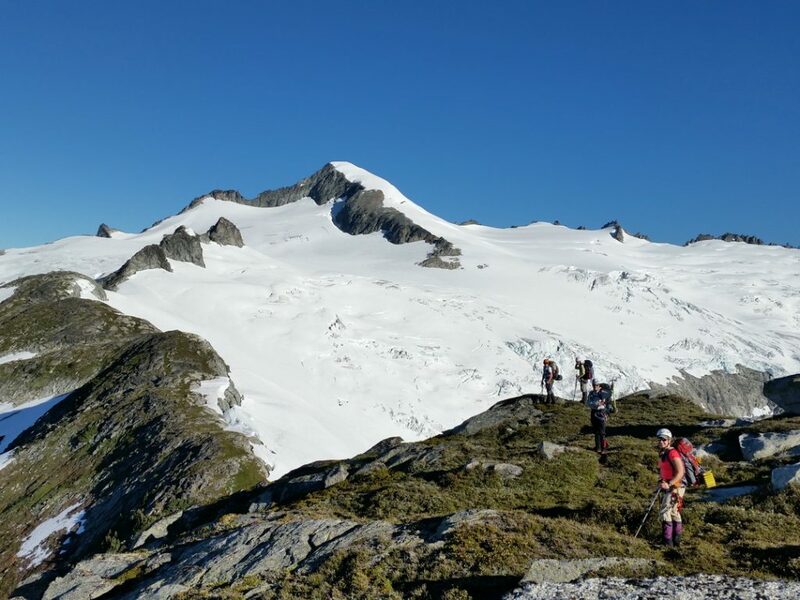 Still above the Inspiration Glacier. 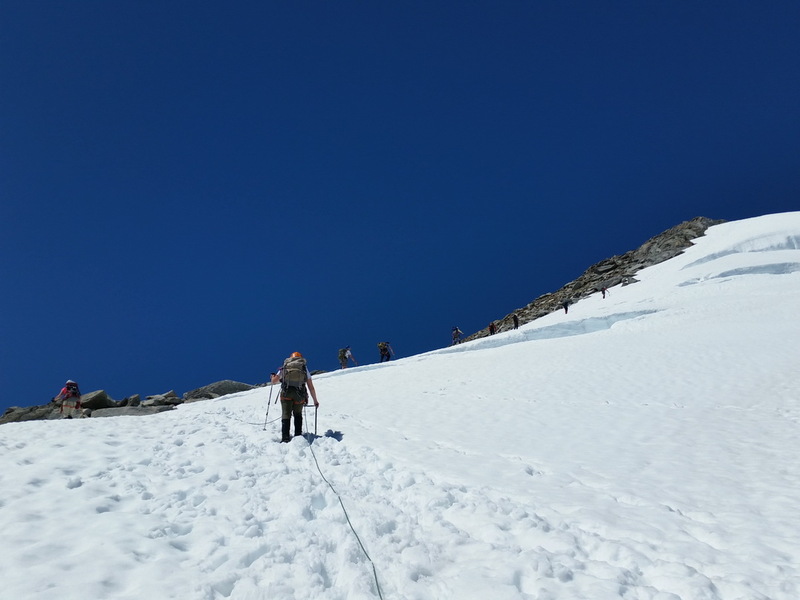 Instead of roping up and crossing the glacier near the big crevasses, we descended a short portion across rock instead.